A directly accredited institutional member of the National Association of Schools of Art and Design (NASAD). Approved by the Bureau for Private Postsecondary Education (BPPE) to operate as a degree-granting institution in the state of California. A licensed educational institution by the Florida Commission for Independent Education (FCIE) as a degree-granting institution. Approved and accredited by the Australian Skills Quality Authority (ASQA). A licensed institution by New York’s Bureau of Proprietary School Supervision (BPSS). Afﬁliated with Endicott College which is regionally accredited by the New England Association of Schools and Colleges (NEASC). A member institution of the National College Credit Recommendation Service (NCCRS) evaluating training and education programs offered outside of the traditional college classroom setting and translating them into college credit equivalencies. A member of the New England Association of College Admissions Counselors (NEACAC). Recognized by The Hollywood Reporter and Variety for excellence in ﬁlm education. An Academic Center of Excellence for the Fulbright Program, the ﬂagship international exchange program sponsored by the U.S. government. 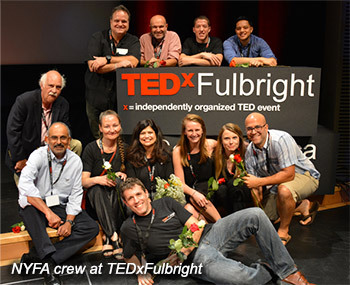 A institutional organizer, producer, and sponsor of the 2015 & 2017 TEDxFulbright. A recipient of funded students from the FULBRIGHT- LASPAU Program in afﬁliation with Harvard University. A host institution of AMIDEAST for Fulbright sponsored students from the Mideast and North Africa. A host educational institution for students supported by UNESCO. Afﬁliated with the Organization of American States (OAS) for scholarships through its Academic Scholarship Program. A Carnegie Classification Higher Education Institution in the Special Focus/Arts Schools category. Accepted by the Australian Commonwealth Register of Institutions and Courses for Overseas Students (CRICOS). An approved educational partner of national and regional governments including China (Ministry of Education), Saudi Arabia (SACM), Government of Iraq (Kurdistan Scholarship Program), Iceland (LIN), Sweden (CSN), Finland (KELA), Macedonia (Macedonia Scholarship Program), Colombia (Colfuturo), Spain (Talentia), Italy (Torno Subito), Brazil (BSMP), Ecuador (SENESCYT), Panama (IFARHU), Malaysia (National Film Development Corporation Malaysia- FINAS, MSC Malaysia), Indonesia (MED LPDP), Mexico (FIDERH), Kazakhstan (Bolashak Fellowship & Scholarship), and Latin America & Caribbean (OAS Rowe Fund). Associated with the Government of Tuscany and the Tuscan Film Commission, which provided NYFA with a renovated Renaissance-era building in the historic center of Florence. Affiliated through articulation agreements with dozens of universities and colleges worldwide, including The New School, St. John's University, Fundacao Armando Alvares Penteado (FAAP), Santa Monica College, San Diego City College, CEV Escuela Superior de Comunicación, Imagen Y Sonido (Spain), Università IULM (Italy), and Regents College London. An IIE Network Member Institution. A Global Program Partner of the Association of International Educators (NAFSA). A member of Generation Study Abroad (GSA) of the Institute of International Education (IIE). A Member of the International Associations of University Presidents (IAUP). A member of the Australian Cinematographers Society (ACS). A member of the Australian Directors Guild (ADG). An approved recipient educational institution of the Yellow Ribbon Program for U.S. military service members and their families. A sponsor and supporter of Producers Guild of America (PGA) events. A STEAM education curriculum partner with the National Aeronautics and Space Administration Goddard Space Flight Center (NASA GSFC), James Webb Space Telescope (JWST), California State University, Northridge (CSUN), Tufts University, Caltech, and Radiant Zemax. A partner with Warner Bros. Entertainment Inc. The selected institution by AT&T to power the AT&T "Creator Camp"
A partner with Globo Industries (Brazil), The New York Jets Football Organization, SONY Animation, Ciudad De La Luz and VIACOM. Associated with Final Draft providing a special fellowship in Writing for Film & Television. A partner of Johns Hopkins SAIS Women’s Alumni Network (SWAN). A institutional collaborator with Cultural Ministry of the Vatican. Associated with numerous media organizations including VIACOM, NBC MSNBC News. Educational partners with RED Digital Cinema Camera and B&H Camera and Video. An awardee of the U.S. Department of Commerce International Trade Association for Export Achievement Recognition. A U.S. Department of Defense contract recipient. An awardee of the Banca Nazionale del Lavoro First International Student Award. A partner with the International Studies Abroad (ISA) in promoting excellence in study abroad programming. An Autodesk Certiﬁcated Maya training center. The below is only a partial listing. A supporter and partner of innumerable film festivals around the world including the National Coalition Against Censorship (NCAC) Film Forum, Brooklyn Film Festival, 10-Day Challenge Festival, All American High School Film Festival, Havana New York Film Festival, NAFSA Film Festival, Dammam Film Festival (Saudi Arabia), GI Film Festival (GIFF), and Dominican Republic Environmental Film Festival (DREFF). A partner with many art and culture institutions including The New York Public Library, Lincoln Center, Metropolitan Museum of Art, Guggenheim Museum, Whitney Museum, and the NYC Parks & Recreation Commission. A supporter of FilmAid International. A strong collaborator and supporter of numerous veterans and military non-profit organizations and programs including Veterans in Media & Entertainment, Writers Guild Foundation’s Veterans Writing Project, Hire Heroes USA Foundation, Medal of Honor Foundation, The Soldier Project, LA Mayor’s Ofﬁce’s 10,000 Strong Initiative, Vets4Warriors, Operation College Promise, Friends Never Forget. A partner institution of Envision and People to People Student Ambassador Program. A collaborator with Free Arts for Abused Kids by providing a six-week program at Valley Village Community Health Center. 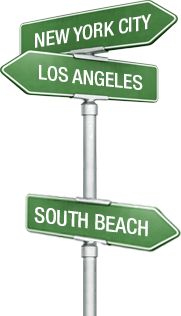 A supporter of the Los Angeles Unified School District (LAUSD) by providing inner city students with eight- week hands-on training programs. A major supporter of The Bill Duke Youth Media Camp. An underwriter of a youth film festival, scholarships, mentorships, and free programs to disadvantaged teens in collaboration with the British Academy of Film and Television Arts (BAFTA). A supporter of Free Arts Organization, NYC Parks and Recreation, Off the Wall Grafﬁti, Inner City Shakespeare Ensemble, Arts for LA, Silver Lake Conservatory of Music, and many other community- based nonproﬁts. A provider of scholarships and training to the Harlem School of the Arts. The creator of the NEXT Young Filmmaker Program, organized and implemented by the NYFA Ofﬁce of Community Outreach, where select students who have already participated in one of the NYFA Community Outreach Partner programs (BAFTA, Bill Duke Foundation, Young Storytellers Foundation) get the opportunity to go a step further in learning more about all of the supporting roles and crew positions in the ﬁlm industry beyond directing. The creator of NYFA C.A.R.E.S. which provides an opportunity for NYFA students, faculty, and staff to volunteer, mentor, and give back to our community and our world. Under the umbrella of NYFA C.A.R.E.S., the NYFA Ofﬁce of Community Outreach, hosts and organizes various events throughout the school year. For more information on the Fulbright Program and the New York Film Academy, click here. Please click here to download a PDF with the above information.